Welcome to the number one Cleaning Agency in London! There are so many reasons as to why you should opt to hire a dedicated Cleaning Agency in London that can provide a wide range of Professional Cleaning Services. We are proud to supply hundreds of highly skilled and experienced Professional Cleaners to thousands of residential and commercial properties throughout North London, East London, South London, West London and Central London. Many of our grateful customers, who were struggling to keep up with chores, have expressed how our cleaning agency London has had a positive effect on their daily lives. There is nothing better than the feeling of relief that you do not have to lift a finger to clean the house immediately after coming home from a hard day's work. Our trustworthy and expert workers can do more than just a few chores around the house. We conduct meticulous vetting procedures on all its Cleaners, making sure that all valid documents are produced and they are eligible to work within the United Kingdom. It is our promise to all new and existing clients that our professional cleaners will finish their work to the highest standard otherwise we will return them to the property to complete the job. 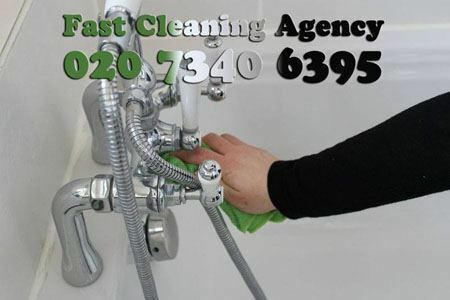 If you need more information about our Fast Cleaning Agency, please feel free to contact us on 020 7340 6395.